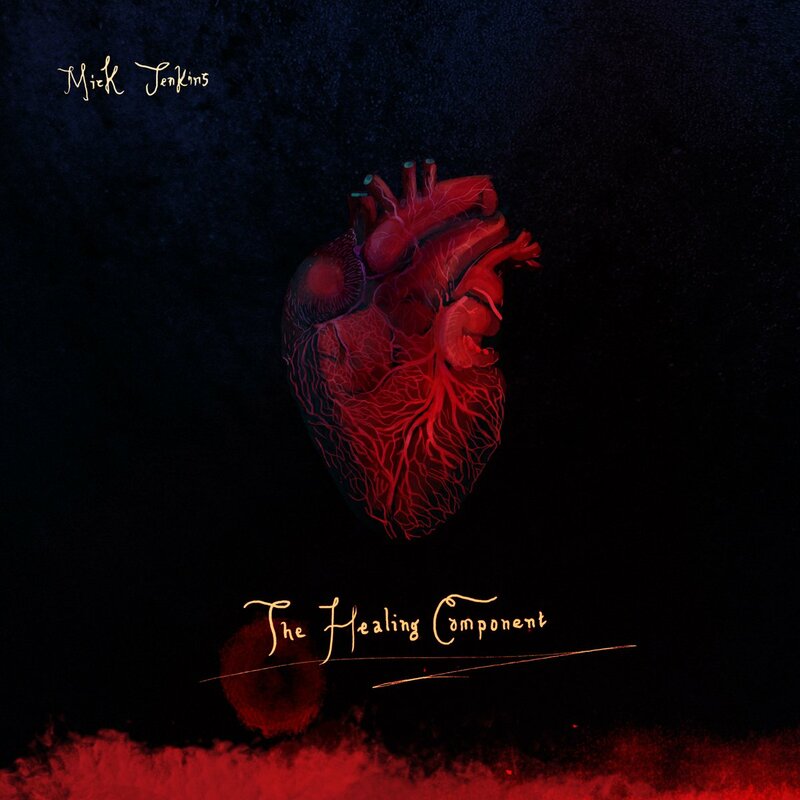 Last week, Chicago wordsmith Mick Jenkins released his highly-anticipated debut project, The Healing Component. After his acclaimed mixtape The Water(s), the Cinematic signee spent the next two years working on his baby. Laced with indelible bars and admirable candor, the rapper’s vulnerabilities are on full display, Jenkins heart isn’t just on his sleeve, it’s on his album cover. The artist responsible, Russ Murphy, is a UK designer who is better known for his animation, including J.Dilla’s and Nas’ “The Sickness.” When Mick tapped him to do his cover art, this was Murphy’s prime opportunity to showcase his versatility. Russ hopped on the phone and spoke to Green Label about his decision to work with Mick Jenkins, the pressure he felt creating the cover art, and why it has the potential to help spark positivity. Did you have a relationship with Mick prior to creating his cover art? If not, how did everything come together? No. I was aware of his music and his wave, but I didn’t have any prior contact with him. One of my friends is a director, David Helman. He made a few videos for Vince Staples and Glass Animals. He was approached by Mick Jenkins’ team to make a video and he put together a treatment. He cleared designs by me that would be an animation segment. They saw that treatment and approached me, saying, “Hey, would you be up to doing Mick’s album cover?” Him and his manager. They asked, “Would you like to do the album cover with a heart? The same style that you did in the treatment?” There was a picture in the treatment, which was a face. There was a particular style of how I painted it, which they liked. So they asked me to paint a heart in the same style. It was cool being asked to do that because my main things are doing videos and animations. It was kind of nice to do that. How long did the whole process take you to complete? You know, the actual graphing work was probably four or five days. The process itself, with going backwards and forwards, probably took about three weeks. I gave him back two different hearts. I gave him a selection of five permutations of each heart. So we had about 30-plus designs sent to him straight away. After a couple of days, to his credit, they wanted numbers 7, 10, and 12, and they said, “Can you do a version of those few?” I made some changes and sent it back. I was kind of impressed with their directness and not messing around. Did you feel any pressure because this is Mick’s debut album? Yeah I did, actually. Because normally, with every job, you kind of always wanna be the best, especially with my animations and videos. But I did feel more pressure with this album cover than my usual work. I don’t know if it’s because it’s one image rather than a whole video where you just see tons of images. Here, I had to be focused on just that one image. I’m a fan of the guy’s music. If you can describe the album cover in one word, which word would you choose and why? Wow! One word? (Laughs) I don’t know, man. Love. That’s the only thing that comes to mind, man. I’ve been listening to his music and the “Spread Love” track is kind of like stuck with me. I’m playing it daily. That track is just stuck in my head.